Elisabeth and Salvador's first meeting was straight out of a romantic comedy. 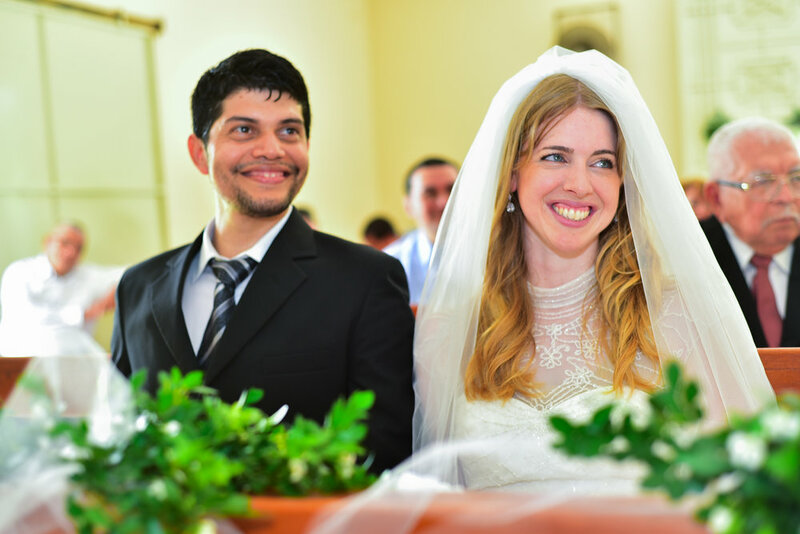 They were both using the same language-learning website: Elisabeth wanted to learn Spanish and Salvador, who is from El Salvador, wanted to learn English. After connecting online, they developed a friendship that eventually led to an in-person meeting in Elisabeth's home state of California. "The day we met, we knew we were soulmates," says Elisabeth. "He asked me out the next day, and we were engaged seven months later." 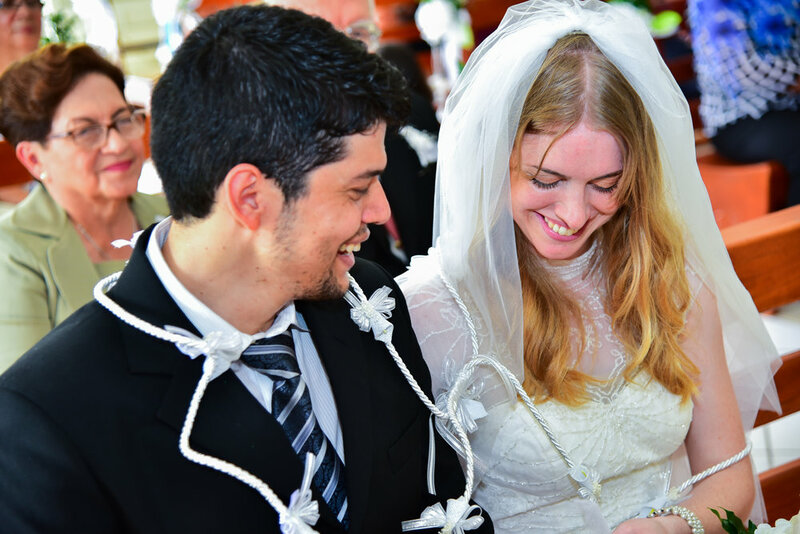 After months of long distance engagement, the couple were married in El Salvador on August 13, 2016. 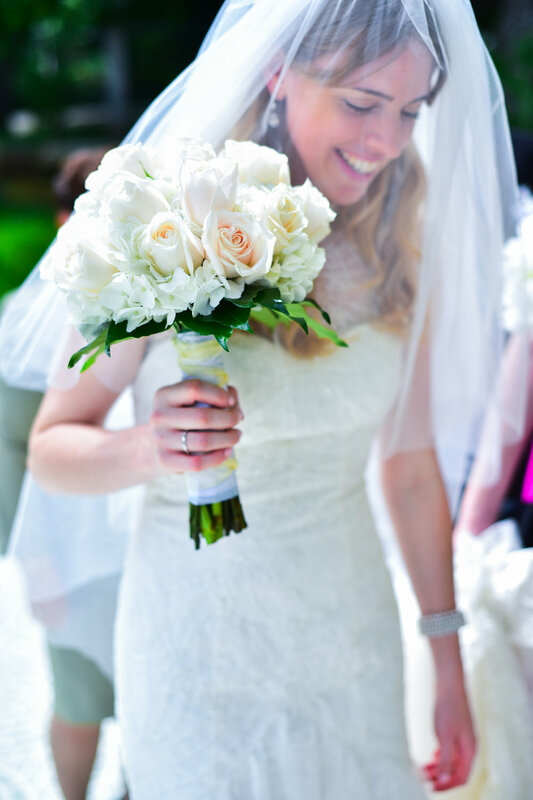 In Elisabeth's words: Our wedding was simple yet beautiful. 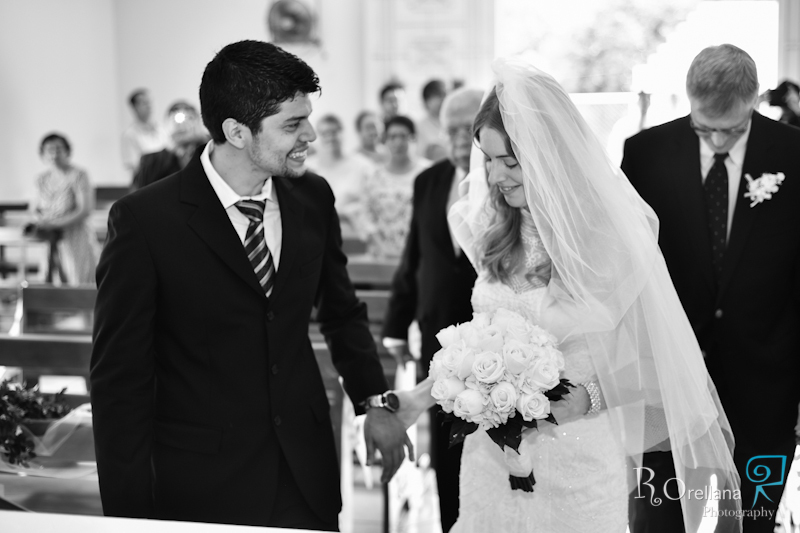 We were married in the rural parish that my husband's grandfather helped build. It was dedicated to and named for Our Lady of Guadalupe. The readings were chosen with care, as we wanted them to reflect our relationship. The second reading, 1 Corinthians 13: 1- 8, has always one of my favorite passages of Scripture, so I was happy we could include it in our wedding Mass. 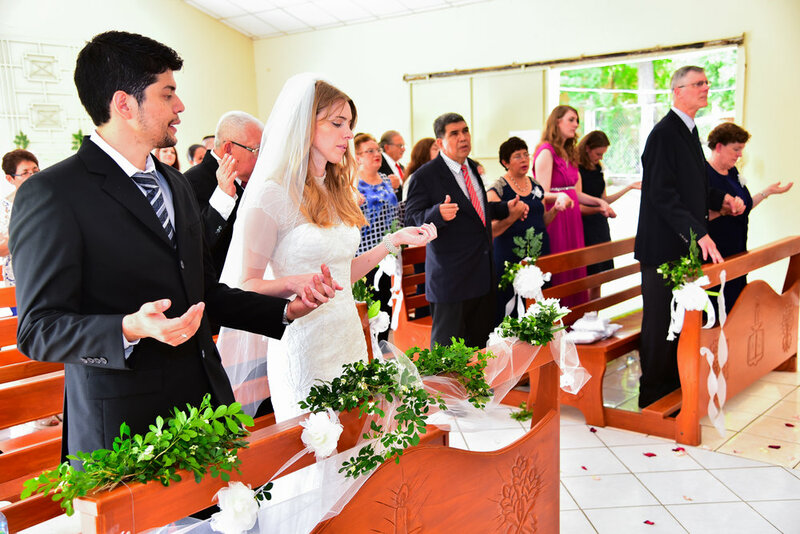 Since we were married in El Salvador, during our ceremony, we made sure to do the traditional lasso cord as a symbol of our unity for life. We also exchanged arras (coins), which is also a tradition at Salvadoran weddings. My dress was a lace and tulle mermaid-style dress, with elegant detailing at the top. I fell in love with the dress the moment I laid eyes on it, as it was unlike any other dress I had seen. Our reception was across the street from the church at my husband's family hacienda. Delicious Latin food was served and we danced to "At Last" by Celine Dion to celebrate that the wait and distance was finally over! A huge downpour of rain and thunder came and went during the middle of our reception - typical weather in El Salvador! It was a most blessed and unforgettable day. Elisabeth's spiritual takeaway: When you put Christ at the center of your relationship, it will show through on your wedding day.